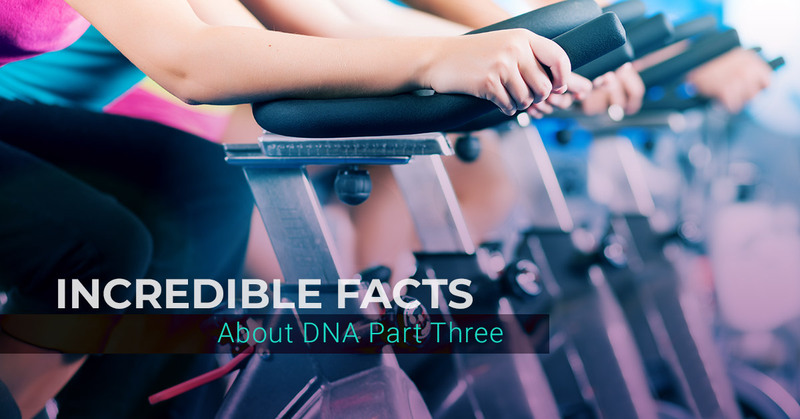 We’ve all heard of DNA and why it’s generally called “DNA” instead of its full name, which is deoxyribonucleic acid. These tiny strands of proteins were discovered in 1869, and they are almost constantly being replicated, damaged, and repaired as you go through your daily life. They are responsible for the way you look and function, and if you strung all of the individual strands together end-to-end, you would have a strand that could go all the way from Earth to Pluto … and then back again! We go through our days without a thought for the incredible scope of information stored in each of our cells. At KlothoGenics, we have learned that our genes interact with our lifestyles and habits. The things we do can have a big impact on these tiny little building blocks. The key to making the most of the situation is understanding exactly what your DNA is like with all the quirks and features passed down within it. Once you understand your DNA, you can adjust your diet, exercise, and other lifestyle habits to make your life as healthy and long as possible. Occasionally (or often) feeling like an anomaly among other humans is just part of the human experience. However, you share 99.9 percent of your DNA with every other human on the planet. The last little 0.1 percent is what makes you uniquely you. Isn’t it amazing that a little 0.1 percent is all it takes? According to our recent knowledge, DNA’s half-life is 521 years. Why do we care? Because of cloning. You need whole DNA if you want to clone it successfully, and DNA that has aged over half its life isn’t viable. Put another way, if you’re looking to clone an animal or human, the DNA cannot be more than two million years old. Fortunately (or unfortunately), this means we cannot clone the dinosaurs even though we have plenty of DNA. They went extinct over 65 million years ago, which puts their DNA way past the expiration date. Did you know there’s a DNA time capsule up in space? Called the “Immortal Drive,” it’s a memory device in the International Space Station, and it holds the digitalized DNA sequence of people like Stephen Hawking, Lance Armstrong, and Stephen Colbert. If there is a global disaster, the DNA in the Immortal Drive could be humanity’s saving grace. When you get a blood transfusion, the new blood must match your blood type. However, when you’re undergoing a bone marrow transplant, the same rules don’t apply. The DNA can match or not match; it doesn’t matter. This is good news for the medical community, which uses bone marrow to solve serious health problems. The mechanism in our bodies responsible for generating RNA and DNA needs an oxidized form of phosphates. These phosphates don’t naturally exist on the earth. Instead, they were brought to the earth by meteors. That’s why we can say we’re made from stardust! A while back, we mentioned a thing called a genome. It consists of the entire DNA sequence of an organism, and it would take you about 40 years to type out. Why would it take that long? Because it has three billion DNA bases, or units of DNA consisting of the four building blocks cytosine (C), thymine (T), adenine (A), and guanine (G). Your cells are constantly dying and being regenerated. The new cells need DNA, and in order for that to happen, DNA must be duplicated. Luckily, DNA has the ability to replicate itself, giving new cells the DNA they need. At KlothoGenics, we are excited to be able to make the biggest difference possible for our clients. Because we do what it takes to understand our clients’ DNA, we are able to make recommendations that actually work over time. We can identify trouble spots and work to address them. At the end of the day, your DNA is uniquely yours, and taking the time to figure it out can only be to your advantage. Let us help you interpret your building blocks so you can live in cooperation with them instead of breaking them down. Contact us today for great preventative health insights!